The Zwart Janstraat – Noordmolenstraat is a multi-cultural shopping street in the North of Rotterdam. In former days it used to be a well-known shopping street, with very special lighting in the festive season, in those days it gained the name ‘Street of lights’. People from all over the Netherlands came to see the special festive lights and do their Christmas shopping in the street. Unfortunately, as time went by renown shops moved to the city center that was slowly being built up after it had been destroyed in World War II. The street became more of a rundown area, with empty shops and dilapidated buildings. After the latest economic crisis, the area has regained interest of new entrepreneurs who have joined together to up lift the streets image. 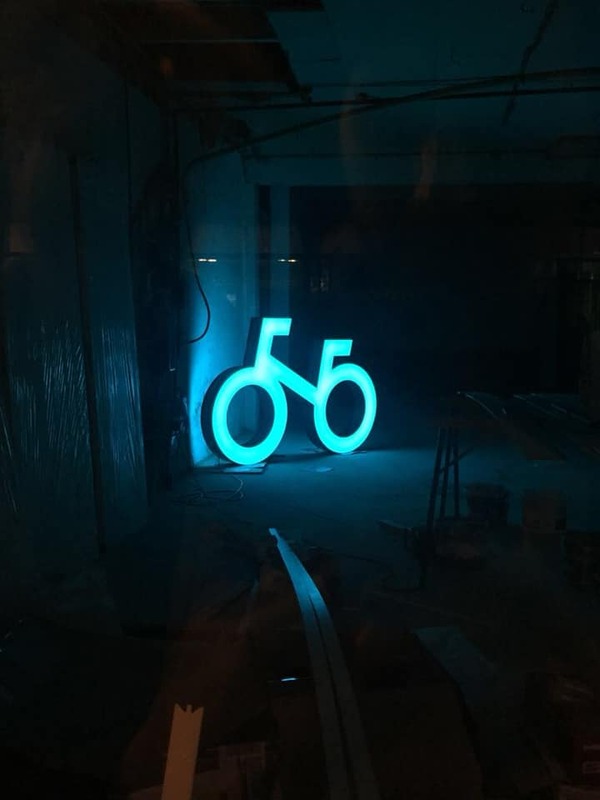 They have set out goals to revitalize the street, one of them being to create an updated interpretation of the ‘Street op lights’. Various scenarios for the new ‘Street of lights’ were reviewed during workshop sessions with the entrepreneurs. In the end a concept was chosen in which the diversity of the streets type of shops and cultures is reflected. Actually, showing the streets DNA. Also there was a strong feeling amongst the shop owners that the installation should be permanent and in that way consolidate the identity of the street. 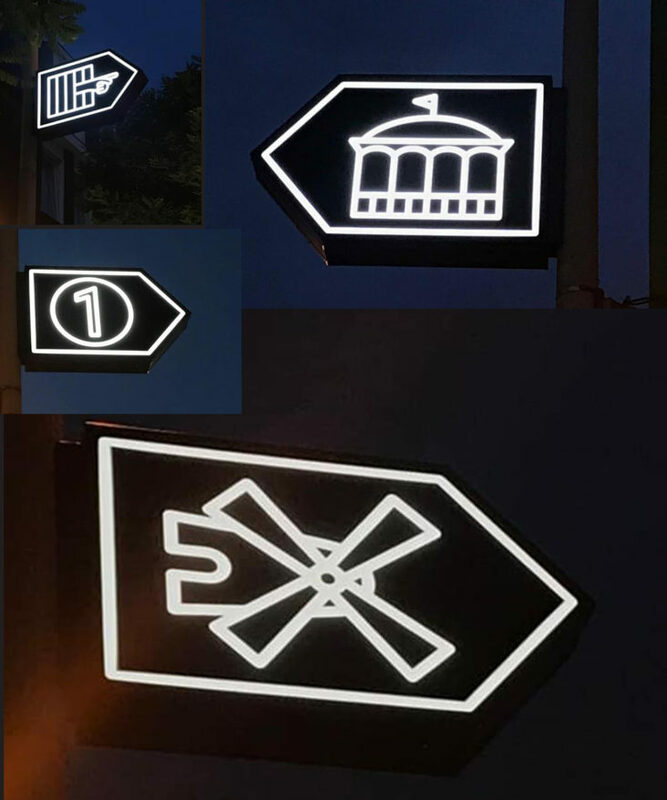 Over a length of 800 meters, nineteen ‘light icons’ have been placed above the middle of the street between two lamp posts. 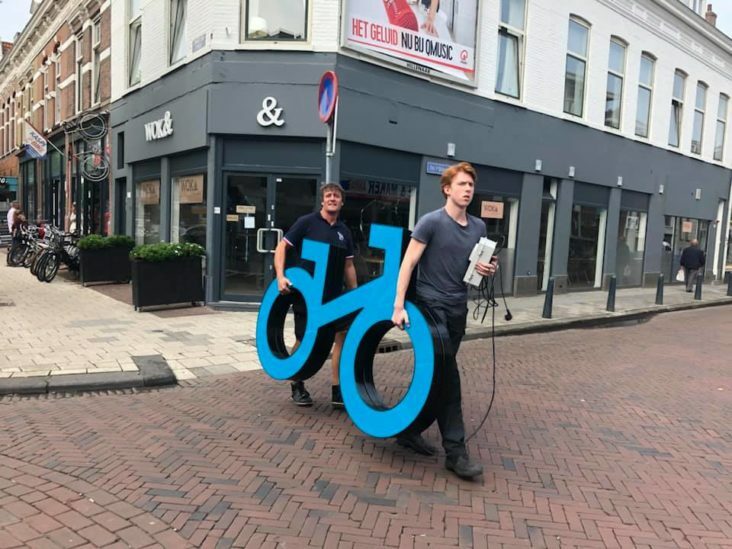 Thanks to a close collaboration with the city municipality the lamp posts that had to be renewed anyway were altered to be able to carry the weight of these light icons.